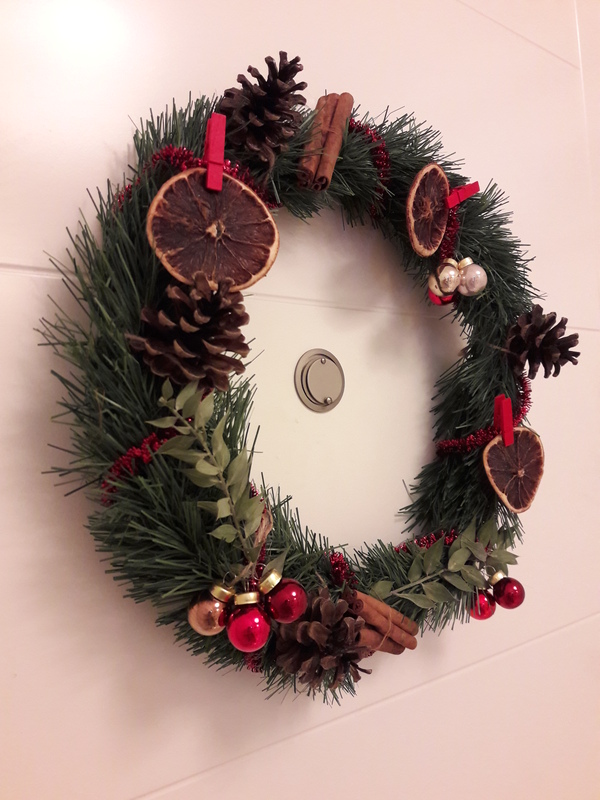 Last year I’ve collected a bunch of pine cones for DIY Christmas decorations :) Little did I know that it will take forever, well actually, at least few days to clean and prepare them to be used. This year, however, I was so happy to pull them out of the storage room – shiny and pretty, all ready to brighten up our apartment this holiday season. If preserved correctly, you can use them for 3-5 years without them getting brittle. If you are like me and TERRIFIED of any bugs and critters, then prepare to get your hands dirty. Fresh pine cones will have many (and I mean MANY) bugs hidden inside. Truth be told I didn’t think about it at all. I brought the bag of pine cones from outside, dumped them all into bathroom sink to wash later, and went to make dinner. When I came back half an hour later I screamed like crazy because my pristine bathroom had become overpopulated with every existing bug from a biology book, YUCK!!! So here are the steps how to de-crittefy ( eh? :) ) your pine cones before using for decor. Dump pine cones in a large bucket (put the bucket in the bathtub for an easier clean up), fill with warm water and 1 cup of white vinegar for every 2 L of water. Check back in half an hour – all of the bugs should have now surfaced. Change the water and this time make a solution of 1 cup of bleach to 5 L of water and leave the pines cones in this solution overnight. If you add too much bleach pine cones may lose colour and turn white. Spray the pine cones with clear acrylic spray (I suggest doing this on the balcony or outside). I sprayed some of mine with a silver acrylic spray to make DIY Christmas tree ornaments or simply hang them on the tree. Wait for the first coat to air dry and then do one more coat. TA-DA! Once they are dried and shiny, let you imagination run wild and use the pine cones to decorate your house. To store after holidays – put pine cones in an airtight container or zip-lock bag. Leave as less air in the bag as possible – this will prevent them from getting brittle. 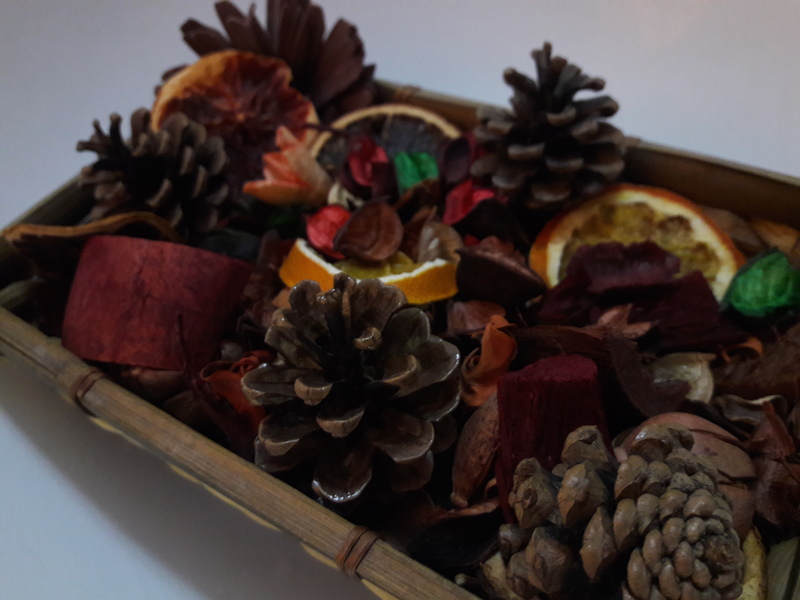 Add pine cones to potpourri in vases or decorative baskets – see picture below. Use them for DIY Christmas wreath (or add to a store-brought one) – see picture below. 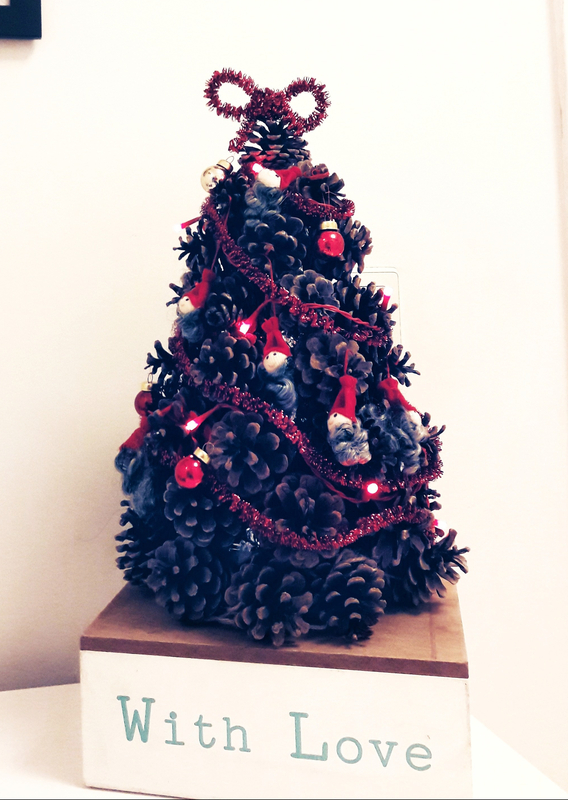 Make a small tree out of pine cones by gluing them on a styrofoam cone – start with larger ones at the bottom and finish with the tiniest ones on the top. Then decorate as you want. Or not :) See picture below. Haven’t written anything here in ages but still getting emails with stats that some of you guys are visiting to check out my recipes :) Without making too much of a deal with this post, I’m here to let you know I’m planning to do a series of posts with DIY Christmas decor. 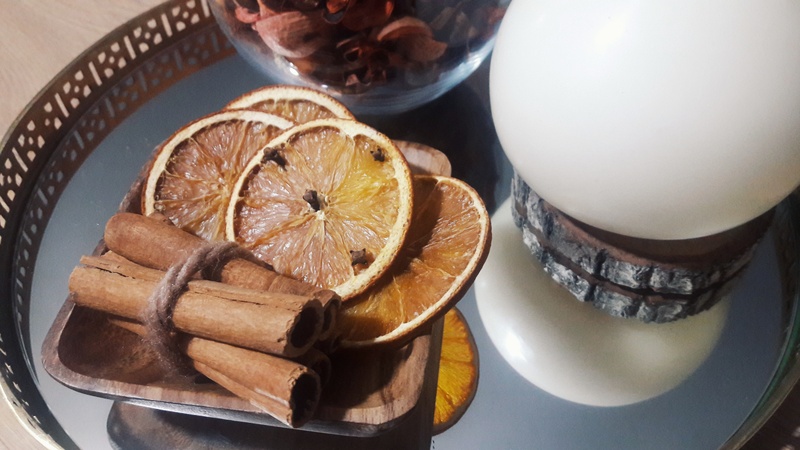 It’s 4th of December and right about time to decorate your homes <3 Citrus is in season this time of the year and I love using it for decor – it looks good and smells a-ma-zing! TIP: sprinkle some sugar over the slices if you would like it to have a glossy finish. When your slices are all dried out, it’s time to use them. Make an orange garland to decorate the top of curtains or the fireplace. Use leftovers to make tiny potpourri bags for your closet. You can also add a few drops of essential oil for a longer lasting smell. Your closet will smell wonderful!!! To use the oranges for tree decoration – make a little slit next to the edge and pull a red ribbon through it. Voila! Throw all of the leftovers into a blender and blend to a chunky powder. Add it to your table salt grinder and enjoy a wonderful citrus aroma and taste. There’s never too much of Vit C in the dark winter days. 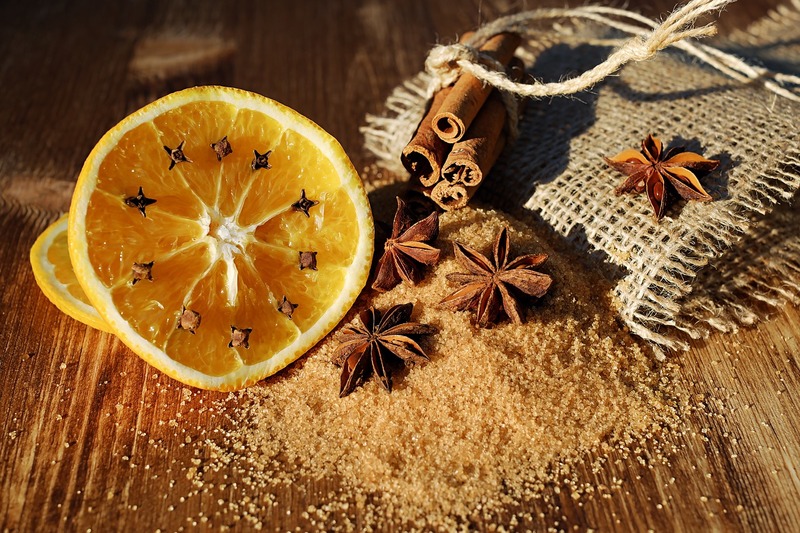 Store the rest of citrus slices in a airtight container or bag and add it when making hot wine and herbal tea. As the time goes the slices will start turning dark and will last up to a year. We live is a nice sitesi/residence, with a few buildings, where for a reasonable monthly fee we get to enjoy different advantages of a residential compound, such as security, cleaning/maintance, a nice yard with a playground, and all possible shops and services located on the ground floors. Here, you can find hairdresser, laundry, dentist office, few grocery stores, some textile shops, a pastane with delicious cakes and çay/kahve… Well, you get the picture. It is (or it used to be) very quiet, except maybe for a few things – young ladies walking their barking dogs in the yard in the morning, teyzeler exchanging latest news across the corridors during, and an occasional child crying at night or riding his/her loud-ish bicycle early Sunday morning. I’d get annoyed with this children sometimes, especially if their parents drop them off their grandmother’s place, who happen to be my neighbour across the hall, and she would decide to punish her grandson by switching off WIFI at home and he would ring our door on the weekend to ask for a password :D Adorable, right? So, I’d get annoyed but it would quickly pass, and as long as I don’t live in a penthouse on a 25th floor somewhere, I can’t complain. Broccoli, cauliflower, carrots, spinach, mushrooms, fresh greens, and whatever else you may desire! Blast of vitamins, colours and natural flavours. One of my favourite snacks or side dishes is roasted broccoli and carrots. This is a very versatile recipe, so you can adapt it to your liking. This winter weather is trying to drive us crazy. 30 cm of snow on New Year, +19 in th first week of 2016 and then for a week we enjoyed Lodos winds that made me scared at night, thinking that our balcony would collapse or the windows would break. But guess what? Next week we are expecting some snow again. Global warming you say… Anyway, I simply hope that it will not hit us as badly as last year, when friendly Lodos‘s speed reached 107 km/h and the city looked like a scene of a horror movie after a couple of days. In the cold weather it is important to have some easy hearty recipes on hand to keep warm. Turks have some brilliant ideas about food. Sucuklu Kuru Fasulye or White Beans Stew is one good example of Turkey’s staple foods, and today’s recipe is another one. Çorba (soup) in Turkey can be eaten for lunch and dinner, as a starter or main course. Most of Turkish soups are smooth and creamy, with lots of vegetables. At home, in Ukraine, soups are usually cooked with much more ingredients, mostly with meat broth and meat pieces, and never smoothed or blended. Honestly, I was never a fan of Turkish soups. Coming here on holidays, soups that were served in hotels looked more like a baby food to me. But now, ever since I moved here, I realised that in winter baby-looking-food is amazing with the right amount of spices, lemon and crusty white bread :D And most important, it is healthy and not difficult to make. One full year spent in Turkey. I go from being totally overwhelmed and excited to being completely antisocial and alienated. Last night having a conversation with a fellow expat in Bursa I got to thinking that not having any expectations is the best way to start building your experience in a new culture and new society. Let’s think of it like building a house with little LEGO bricks. But let’s say that the box with the bricks does not indicate whether they are colourful or black, square or rectangular, moreover it doesn’t say how many pieces are inside, what age is appropriate for using it and it doesn’t give you even a little glimpse or idea of what you can build from it. Yes, you go online and you search for blogs with instructions, you read through thousands of DIYs, you register on websites that say “the easiest way to build stuff from LEGO bricks”.. but you still don’t know what can you build from it. A minute of self-pity, self-humor and whatever else you want to call it. About learning Turkish and having no success. So last week I was shopping for jeans, since I got a bit tired of all skinny ones from before looking now all baggy and loose. After millions of pairs that I tried on… well, actually there were only 7-8 of the smallest size I found in shop, I found ones that fit me perfectly. Side note 2: when my size was M I always complained that it was ‘the average’ size that got sold out the fastest. Now I’m XS-S and you know what? I can’t seem to find the right size either. And some of my girlfriends told me that large sizes are not easy to find too. The question is – are we just programmed for complain? Is there a shopping villain in each store that hides clothes of the size that YOU’re looking for?! Anyway, I was so excited about my newly found jeans that I got dressed quickly, went to pay and forgot my leggings in the dressing room. Well, don’t get me wrong, it wasn’t leggings-pants, it was the ones I wear under jeans in winter due to my constant cold-intolerance. Me being me, I only thought about it at home (jumping quickly from a warm shopping mall into the car I didn’t feel cold) and decided it was a waste of time to drive back. Today I was in the neighborhood and had some free time, so I decided to stop by and ask if by any chance my leggings were waiting for me at the lost&found (which of course I thought they don’t have:D). I pump myself up for talking, walk bravely to a shop-worker and tell her my story in few short Turkish sentences that sound a bit grammatically incorrect but the nice lady seems to understand me quickly and then asks – “What day exactly were you here? Because all of the forgotten stuff is being sorted out by days”. And now is my royal moment! … in which I DONT remember how to say Tuesday in Turkish. My mind spins. Mardi? French. I remember it sounds so simple.. Is it close to Mardi? Damn it, forget about mardi, think Turkish! Dienstag? Whaaat? Where did this come from? The lady is patiently looking at me while I’m trying to look as if I’m trying to remember the day. Actually, as I’m trying to remember name of the day!!! I quietly whisper “tuesday?..” hoping for a magical moment when Universe turns upsidedown and people start speaking one unified language on this planet. As the girl stares blankly at me and doesn’t say anything back, I simply say gerçekten bilmyorum (I don’t know, really). She sadly waives her head from side to side, tells me she’ll go check and couple of minutes later comes back telling she couldn’t find it. I leave the shop, get in the car and 15 minutes later BOOM – SALI!!! It was salı (Tuesday). The day that goes after pazartesi that goes after pazar (which was easy to remember cause it’s a market or bazaar day) that goes after… Well, you get the picture. The words ARE in my head, just not always when I really really need them.